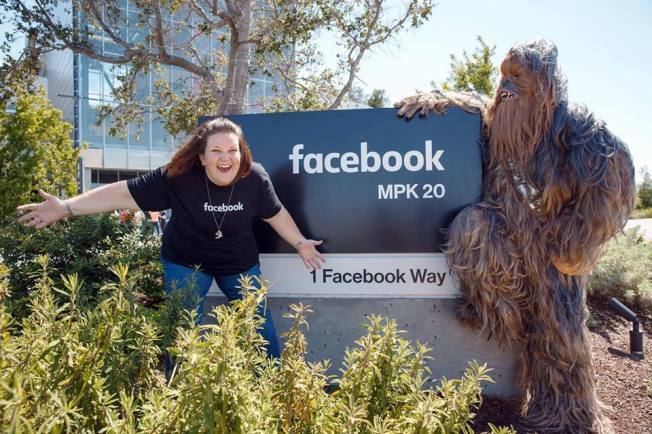 Unless you've been living under a rock, by now you've probably seen the famous "Chewbacca mom" Facebook video that has taken the Internet by storm. From the looks of it, this may just be the beginning of the viral star's new-found fame. It all started when Candace Payne posted a Facebook Live video last week where she was simply giddy with excitement about her new Kohl's purchase – a $17.99 Chewbacca mask that makes Wookie sounds. Her infectious laughter and sheer joy propelled the video, which she titled "It's the simple joys in life," to record-breaking heights, making it by far the most-watched Facebook Live video ever with 142 million views... and counting. The next day, Payne posted this to Facebook: "Today has been a whirlwind. I'm grateful for every kind word and comment even if I haven't replied. Y'all. OVERWHELMED with gratitude. Let's keep belly laughing again and again. Never imagined finding my "simple joy" would land me more VIEWS on a little FB video than Mark Zuckerberg has followers. INSANE. Find your "simple joy"!" And now she can add a visit to Facebook headquarters in Menlo Park to her list. Facebook CEO Mark Zuckerberg posted photos of Payne's visit Tuesday afternoon, and from the looks of it, the exuberance hasn't waned one bit. Payne is on a media blitz. She appeared on the "Late Late Show With James Corden" earlier this week, with special surprise guest Star Wars director J. J. Abrams, in addition to stopping by "Good Morning America." No doubt this won't be the last we see and hear of the "Chewbacca mom."